After weeks of polishing your resume and cover letter, scouring the internet for job opportunities, and passing multiple rounds of interviewing, you have landed a new job. Well done, but now the real work begins. While working for a staffing agency, I have seen candidates both excel and fail. 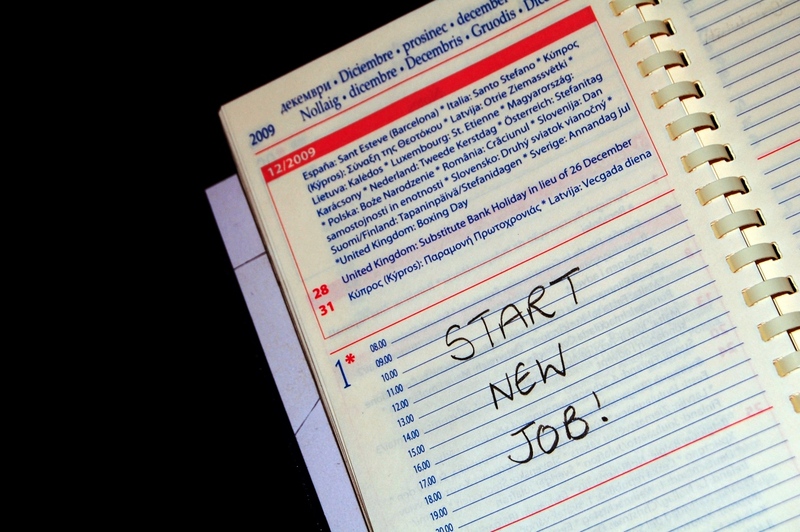 However, if you follow these suggestions, you will set yourself up for success at any new job. The main goal of your job is to make your manager’s job easier. This rule applies to anyone in the chain of command. Yes, you will have your own goals to meet, and maybe an intern or coordinator will help you achieve those goals, but keep this in the back of your mind. Does your manager need something done that isn’t on your official job description? Take care of it. Is he or she stressed out about something? Offer to pitch in and give a solution. Whoever is your manager will also become your advocate for a raise, promotion, or to keep your job. You want to win them over, so that their seniority will help defend your stance at the organization. Remember, these people don’t know you from Adam. You may know that you are a hard worker who is always polite and courteous, but they don’t, so you have to prove it to them. This will take at least a few weeks, and you have to pass the “3 month test period” in order for your status to be solidified. In this trial period, arrive early, stay late, work through lunch, double check your work and keep focused. Once people know you and you have a positive reputation, then you can feel at ease among your co-workers. You’ll be starting out, so there is a learning curve, but people appreciate workers who are self-teaching. If someone comes to you with a question or problem, give them a solution on the spot. If you don’t know of any solution, give them a half-solution (for example, “Why don’t you start by doing X, and I’ll figure out how to take care of Y and Z”). Even if you don’t have all the answers, you’ll appear proactive if you jump into researching and figuring it out for yourself. If you stumble across your own problem, take a few minutes to try and figure out the answer on your own, before defaulting to ask someone else (see point 4). Whoever is training you won’t be around forever, and if they are, they probably have a whole list of responsibilities to worry about. So, in the beginning, when you have a “grace period” of job training, write down absolutely everything (even the smallest details). Ask questions, and get a complete understanding of the situation. People hate when they train a new employee from A to Z… and then one week later that same employee is coming to them with basic questions that require repeated answers. The sooner you become self-sufficient, the better. This may come naturally for you, of course, but it’s worth saying. There will be people in any organization who take liberties on cursing, gossiping, rudeness, etc. The only reason that they are still around is because they are probably good at what they do. Each company culture may be slightly different, but bonus points always go to people who arrive on time, say “please” and “thank you”, and avoid tough or polarizing conversation topics. You have spell check tools on your computer, email, and even social networking sites; there is no excuse for misspelled words or incorrect grammar. Mistakes tarnish your reputation. In addition, always write professional emails, even if it is a quick note. Can you please send me the names of the volunteers that will be arriving this afternoon? This tip won’t really come into play until at least 6 months down the line, depending on the nature of your role in the organization. Your first professional goal should be to learn the ins and outs of the position you’re filling, and get into a seamless routine where you really own your workmanship, and things run like clockwork. However, in order to grow in any organization, you need to volunteer to take on more work, offer new ideas or solutions, and show that you are thinking proactively about how to better the organization. If you offer new ideas too early, you risk appearing as though you “know better than anyone else,” without really understanding the company. However, after 6 months or a year, you can start to talk about solutions for the future. Side Note: If you are a consultant, and part of your job IS offering new solutions, that’s obviously different, and this point is null and void. We’ve seen this before: everything seems fine, then out of seemingly nowhere (because of lack of communication) our Talent learns that they aren’t meeting the qualifications for the job, and are given their two weeks’ notice. To prevent this from happening, be sure that there are frequent reviews from your manager. Don’t be afraid of these reviews, they are your chance to face any shortcomings you may have, and work to correct them while you have the chance. Most organizations will have quarterly, 6-month, or annual reviews. However, it never hurts to stop into your manager’s office and ask “How am I doing? How can I improve?” This will only be a positive reflection of your work ethic. This is the easy one. Even though your #1 priority should be to perform your work at 100%, you should also be friendly and make “allies” in your new role. People will be more willing to forgive you of a mistake or two if they generally like you, so this is a powerful tool. Get a sense of the company culture, what they talk about, etc. Join the company softball league, eat lunch with co-workers occasionally, and attend a happy hour or two. This is easy networking for whatever opportunities may arise in the future, so don’t waste any chance to make a connection. Kate is the Marketing Associate for Profiles, so she’s the one ruling their social media networks, blog, email campaigns, and other marketing initiatives. A recent Master’s Graduate of Georgetown University, Kate keeps busy planning her summer wedding, and trying not to waste too much time on Pinterest.